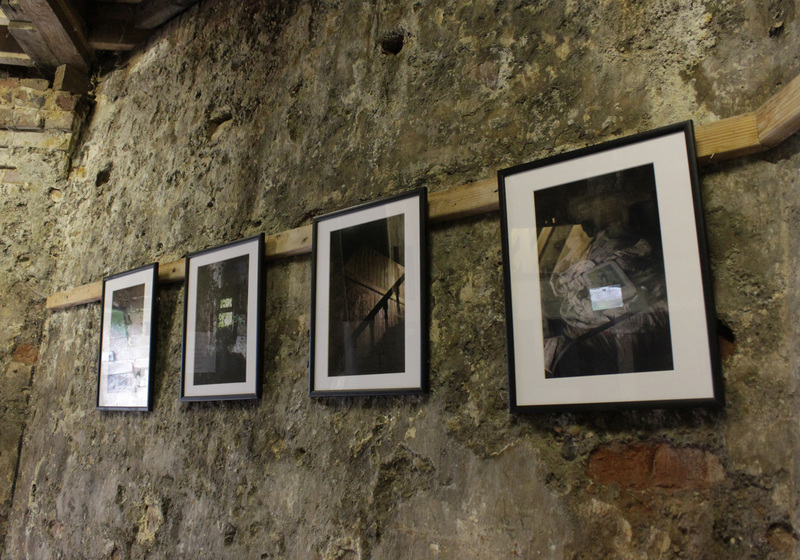 4 Photographs from the Ghost House series displayed inside Rottingdean Windmill, as part of the ‘Future Evolutionary Arts Turbine’ exhibition. Private view on Friday 2 May, 6-9 pm, contact me for an invite. I’ll also be invigilating on Sunday 18th if you want to have a chat. 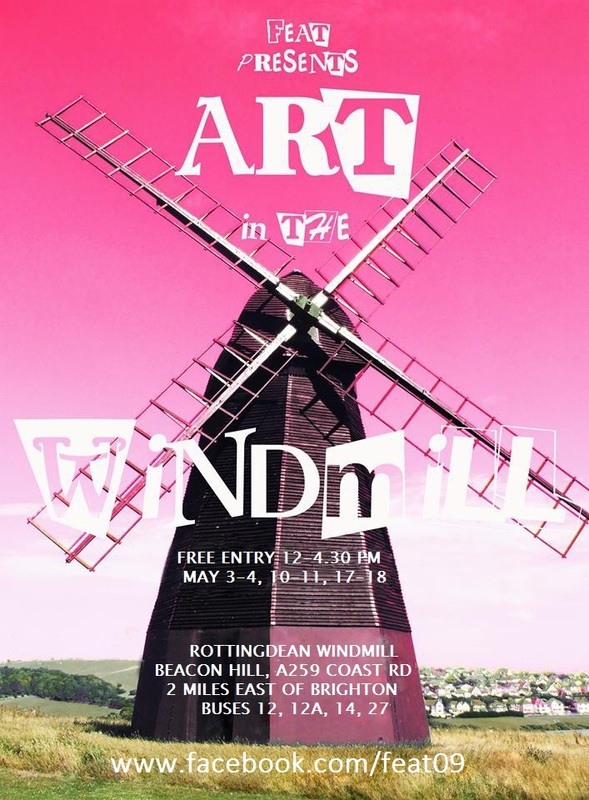 F.E.A.T is an art/heritage organisation showcasing 14 contemporary artist’s work at Rottingdean Windmill to coincide with Brighton Fringe Festival. It promises a dynamic show of innovative ideas and artwork in an inspiring and challenging space. We are presenting a diverse range of mediums including, photography, painting, audio and visual works, sculpture, installation art, ceramics, embroidery, screenprinting and an exterior installation outside the mill. 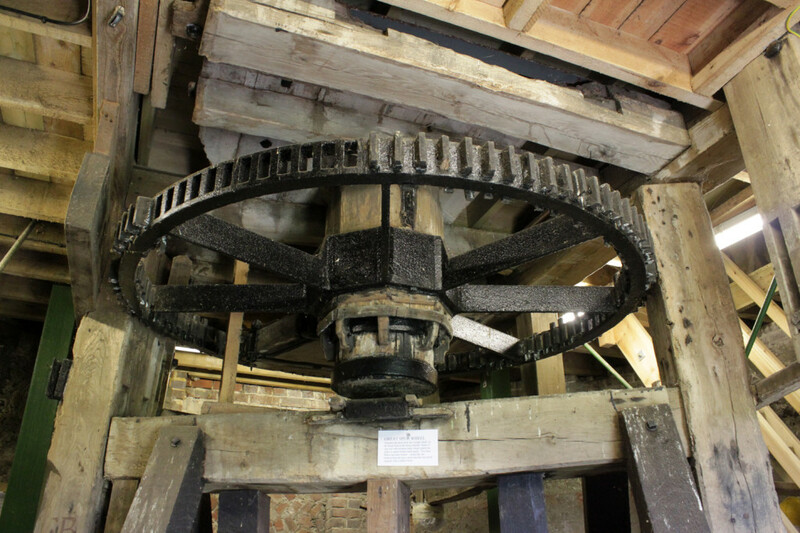 F.E.A.T supports emerging and established artists in a unique site in a Grade II listed windmill, maintained by Rottingdean Preservation Society. The windmill is a black smock mill situated on Beacon Hill on the Brighton to Newhaven A259 coast road. 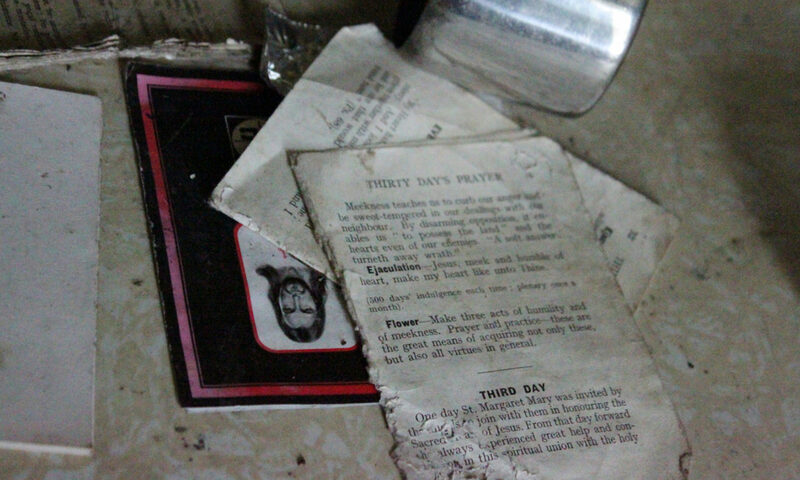 It was erected in 1802 and the last miller finished work here in the early 1880’s. It was saved from demolition by the Marquis of Abergavenny who had the mill renovated in 1905. Accompanying the exhibition are a number of events; a Windmill talk, Walk & Talk of Rottingdean and a performance by musicians Annie Kerr and Chris Parfitt See website for details. Sujo Remi, Julia Rowe, Helena Tett and Sandra Wright.